Ahar Museum is located 2 km away from Udaipur. There are many cenotaphs of the Mewar kings here. Nearby was the Ahar Museum which possess the earthen pottery, sculptures, metal statue of Buddha which date back to 10th century. 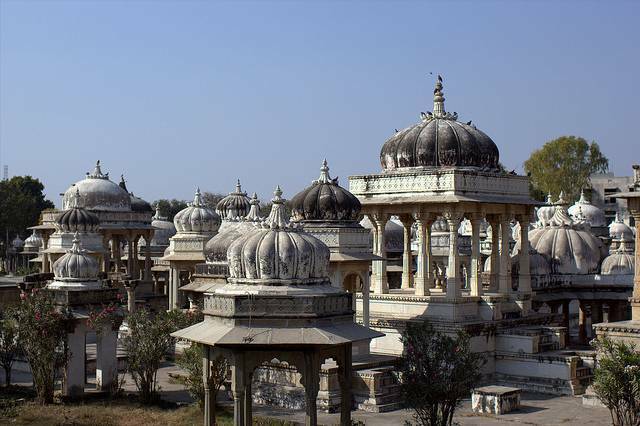 There are 19 chhatris which commemorate the 19 maharajas who were cremated here. Maharana Amar Singh's cenotaph is the most beautiful one. Other impressive cenotaphs include, those of, Maharana Sangram Singh, Swaroop Singh, Shambhu Singh, Fateh Singh, Bhupal Singh, Bhagwat Singh Mewar and Sajjan Singh. Made out of marble the cenotaphs are beautifully carved and possess a dome in the center with support of small pillars.